Tennis specialist Craig Vickers (@craigvickers_) previews day five of the men’s Australian Open and provides us with his best bets. 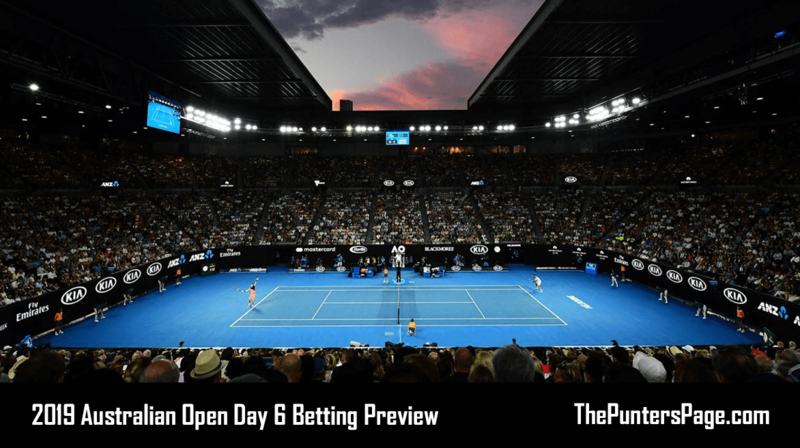 Saturday marks day six at the 2019 Australian Open as we conclude third round action at the first major of the year. We endured our first barren day yesterday as neither Nikoloz Basilashvili or Marin Cilic could deliver. The Georgian had a set point in the third set tie-break to move into a two sets to one lead over Stefanos Tsitsipas, but he squandered the opportunity and surrendered in the fourth set. Cilic, meanwhile, roused himself to oust Fernando Verdasco eventually in five sets, but the 3-0 pick was admittedly way off the mark in retrospect. Moving on, however, and the third round concludes with Novak Djokovic facing the explosive Denis Shapovalov at around 3:30AM GMT, while Alex Bolt will be hoping to continue his miraculous run against fourth seed Alexander Zverev. Lucas Pouille, meanwhile, will face a test of his character on Margaret Court Arena at around 9:30AM GMT against the rising Australian Alexei Popyrin, and there is definite value in the youngster. The Frenchman’s record in Melbourne is abysmal, winning his only two main draw matches at the Australian Open this week, and he will be up against it on a slower show court with very little fan support. Pouille hardly set the world alight in his four set win over Maximilian Marterer in the second round, winning only one more point than the German as he took until the fourth set to finally break his opponent’s serve. Popyrin, meanwhile, should be fresh after he profited from Dominic Thiem’s retirement in the third set of their clash on Thursday and he has now experienced playing infront of a larger crowd with his appearance on Melbourne Arena. 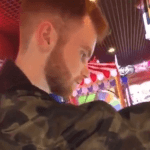 The Australian strikes the ball flat – much like Marterer only off the opposite wing – and he will trouble the Frenchman, although the question is whether he can turn the spells off pressure into substance. Popyrin to win the first set is 6/4. Elsewhere, Fabio Fognini’s clash with Pablo Carreno-Busta at around 3:30AM GMT on 1573 Arena is intriguing from a betting perspective. 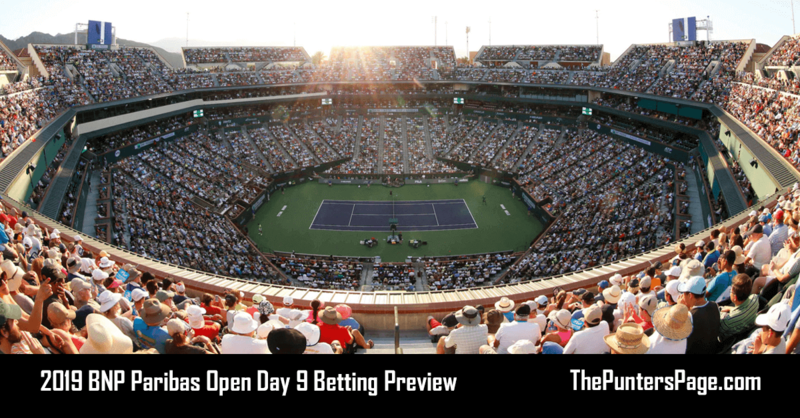 This stage is traditionally where Fognini’s throws in a half-baked showing at a Grand Slam – although he reached the fourth round in Melbourne twelve months ago – and his mettle will be tested by the indefatigable Carreno-Busta. We benefitted from the Spaniard requiring five sets to move past Italian qualifier Luca Vanni in the first round but it was noted in the preview that Carreno-Busta usually struggles to find his rhythm in the first round. The Spaniard is 5-0 in his career against Fognini – which will surely play on the Italian’s mind – with two victories coming on hard courts. The biggest worry from Carreno-Busta’s perspective is his often frail serve and although Fognini rarely takes the ball early off the return, it doesn’t take much to peg the Spaniard back when he leads by a break in sets. Carreno-Busta is available at 11/10 to win. David Goffin typically wilts under the Melbourne heat but he should enjoy a cooler day on Saturday and he faces an opponent who has never reached the fourth round of a Grand Slam. Of course, Daniil Medvedev is improving each week and naturally the breakthrough will occur, but it will be interesting to see how he deals with the speed of Goffin on a far larger court than what he has been exposed to this week.